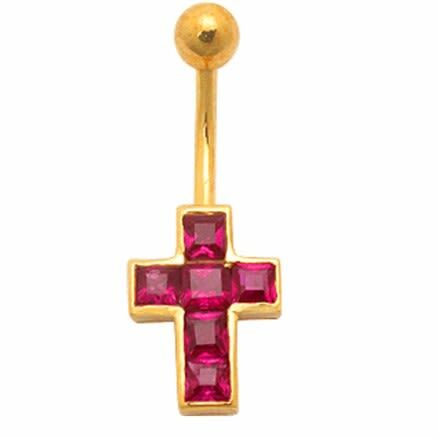 Adorn your pierced belly with the Red Jeweled Cross 14 K Gold Belly Banana Ring. Crafted out of 14 K Solid Yellow Gold, this banana ring is designed in a Christian Cross symbol. 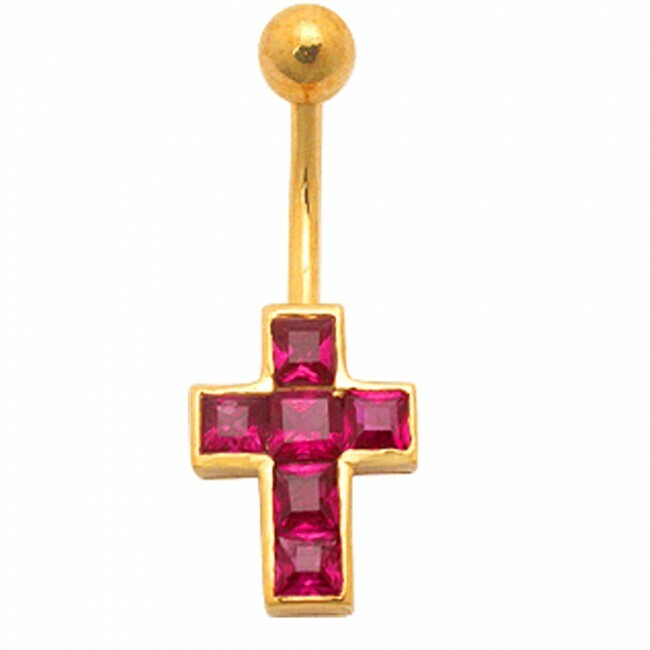 Embellished with square-shaped red Cubic Zirconia, this gold navel ring is offered to you in a standard size: 14 G 3/4 mm.